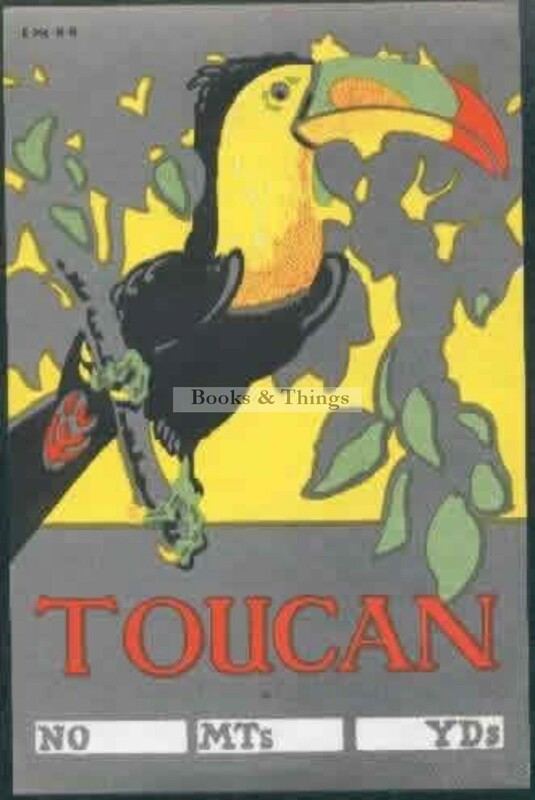 E. McKnight Kauffer: Toucan Bale label. 16 x 10.5cms; gummed. Between 1916 and 1928 the Manchester textile company of Steinthal commissioned Kauffer to produce colorful bale labels for their cotton goods. This example probably dates from around 1920. Category: Miscellaneous. Tags: McKnight Kauffer bale label, McKnight Kauffer bale label for sale, McKnight Kauffer toucan bale label.